Offering a more contemporary slant to Stovax’s wide choice of wood burning and multi-fuel steel stoves is the View range. Although designed to be installed into a standard 22” (560mm) high x 16” (405mm) wide opening with the chair brick removed, it is just as attractive freestanding on a hearth or stove bench which are also available from Stovax. 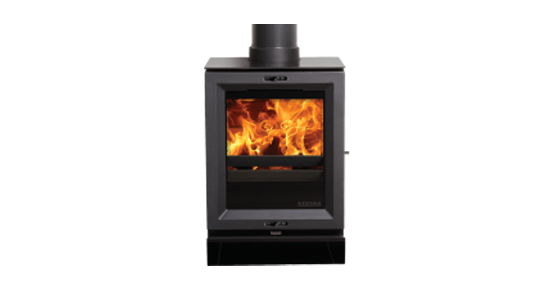 This compact View 3 stove offers you multi-fuel capacity and high efficiency heating. The beauty of this wood burning and multi-fuel stove can be further enhanced by adding a high-gloss flue pipe.